Some will be shocked to find out that the United States and Ho Chi Minh, our nemesis for much of the Vietnam War, were once allies. Indeed, during the last year of World War II, American spies in Indochina found themselves working closely with Ho Chi Minh and other anti-colonial factions—compelled by circumstances to fight together against the Japanese. Dixee Bartholomew-Feis reveals how this relationship emerged and operated and how it impacted Vietnam's struggle for independence. The men of General William Donovan's newly-formed Office of Strategic Services closely collaborated with communist groups in both Europe and Asia against the Axis enemies. In Vietnam, this meant that OSS officers worked with Ho Chi Minh and the Viet Minh, whose ultimate aim was to rid the region of all imperialist powers, not just the Japanese. Ho, for his part, did whatever he could to encourage the OSS's negative view of the French, who were desperate to regain their colony. Revealing details not previously known about their covert operations, Bartholomew-Feis chronicles the exploits of these allies as they developed their network of informants, sabotaged the Japanese occupation's infrastructure, conducted guerrilla operations, and searched for downed American fliers and Allied POWs. 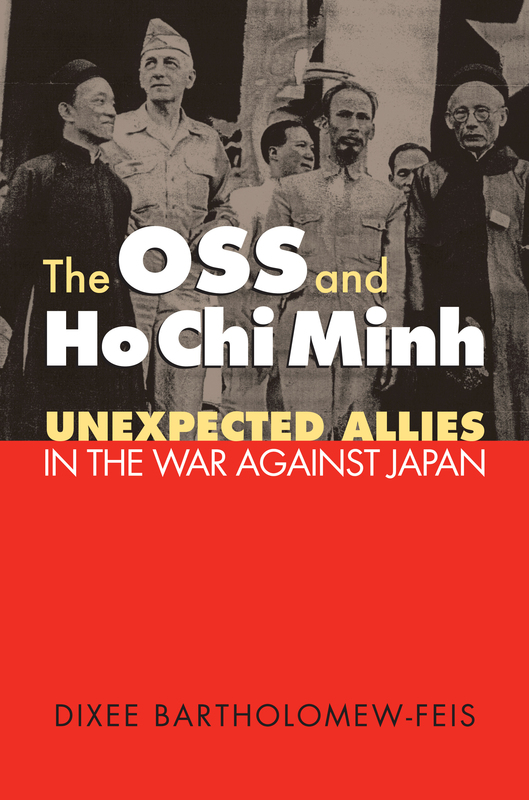 Although the OSS did not bring Ho Chi Minh to power, Bartholomew-Feis shows that its apparent support for the Viet Minh played a significant symbolic role in helping them fill the power vacuum left in the wake of Japan's surrender. Her study also hints that, had America continued to champion the anti-colonials and their quest for independence, rather than caving in to the French, we might have been spared our long and very lethal war in Vietnam. Based partly on interviews with surviving OSS agents who served in Vietnam, Bartholomew-Feis's engaging narrative and compelling insights speak to the yearnings of an oppressed people—and remind us that history does indeed make strange bedfellows. Dixee Bartholomew-Feis is an associate professor of history and Director of International Education at Buena Vista University.